Edged in between Holborn, Islington, The City and East End and with Smithfield Market at its epicentre, Clerkenwell has been transformed during the last fifteen years into a coolly urban area of chic gastropubs, bars and restaurants, nestling amongst its scruffy and often historic architecture. Best reached by taking the underground line to Barbican tube station on the Metropolitan/Circle lines, Clerkenwell provides a trendy inner city environment in which to host an event. 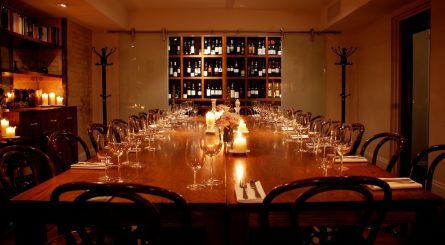 The two beautiful private dining rooms at Luca Italian restaurant in Clerkenwell – The Garden Room and The Pasta Room – are suitable for a variety of functions and can respectively accommodate 6 – 8 and 8 – 10 guests. 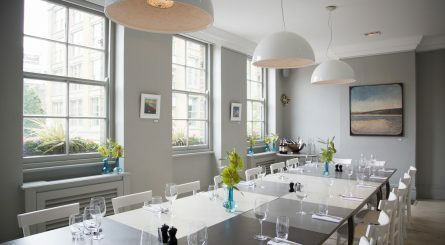 The private dining rooms at The Modern Pantry can accommodate 12, 40 and 70 seated guests and up to 100 for standing receptions. 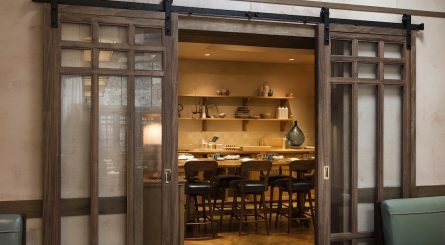 The private dining room at Vinoteca Farringdon seats up to 30 guests or up to 20 around a single table and also accommodates up to 40 standing. 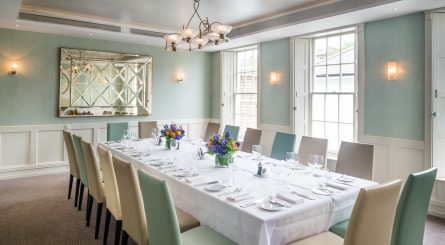 Just 15 minutes from The City, Islington’s acclaimed Frederick’s Restaurant has two private dining rooms for parties seating 15 to 40 guests.